When I asked about how long it will take to clean the oven, I was shocked to hear that it will take around 2 hours for an average domestic oven. I mean.. surely cleaning an oven wouldn’t take that long right? Duane from Oven Express arrived on time and he was really friendly and every time we had a chat, he always had a smile on his face. 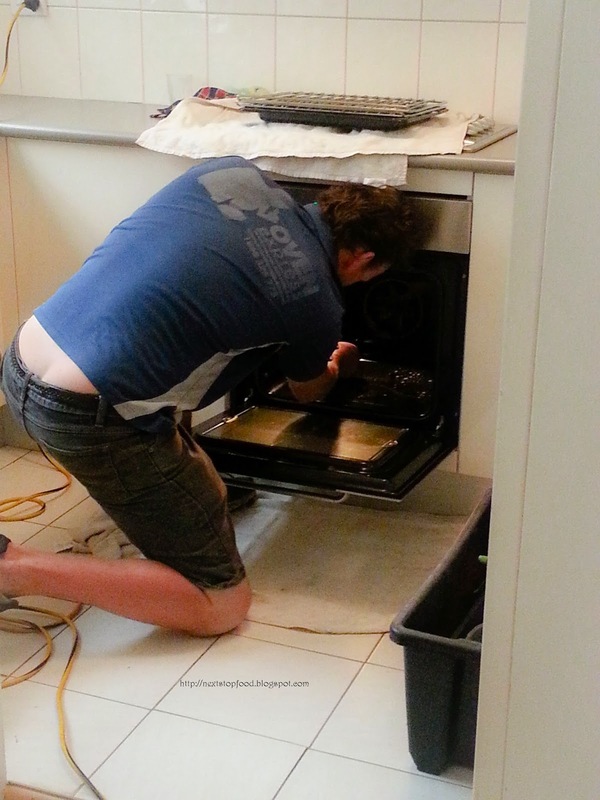 He started taking apart the oven and cleaning every inch inside with their bio-degradable products. The glass inside the oven was removed out and was scrubbed thoroughly on both sides. He took the oven racks to his van to give it a good clean with his hose – all the tough stains from baking spills and what-not vanished! After cleaning the oven, he cleaned the stove top, which I did not expect. I’ve tried scouring the black stains around the stove top off myself with Ajax before but failed. After Duane did his magic, my stove top was squeaky clean. Then, ANOTHER surprise - he cleaned the range hood! But he said it was an easy job because it was quite clean and not too greasy. During our chat, he told me that Oven Express also provides BBQ cleaning services and that my oven was an easy job compared to some BBQ that he has seen. They go everywhere around Sydney and the furthest that he's been to was at Avalon! By the end, I understand why it would take around 2 hours – he was so precise and literally cleaned everything without missing any places. The products did not leave that harsh chemical smell after cleaning which is great because you don’t really want to bake anything inside a chemical filled oven. And of course, it was spotless :) Big thank you to Duane for giving me a clean place to bake and cook! Next Stop: Food was given an opportunity to try Oven Express’ cleaning services. All comments are purely based on my own thoughts and opinions. Thank you Susan from Oven Express for contacting us. Nice post and the services on cleaning Oven, Stove Top and Range Hood Cleaning seem to be reliable and professional. thanks for the post and useful information.